The LATA Foundation has the good fortune to work with some truly inspirational, often grass roots projects and this year we are proud to continue to support a diverse group of causes. These include: a nutritional and family programme by SmallChange4BigChange in Santa Caterina de Baranhona, Guatemala; and reinforcing a vital unmade road in the Telica region of Nicaragua, with Neuvas Esperanzas. Picaflor (Oropesa, Peru), Vidarte (Rio de Janeiro, Brazil), Condor Trust (Quito, Ecuador) and Abriendo Mentes (Guanacaste, Costa Rica) all continue to work tirelessly in their different ways to ensure that disadvantaged young people in their area have the opportunities that education and self-development bring. Similarly, Fundación Calicanto (Panama City) continue to offer their successful training programme helping women develop the life skills they need to work in hospitality, and thereby support themselves and their families. 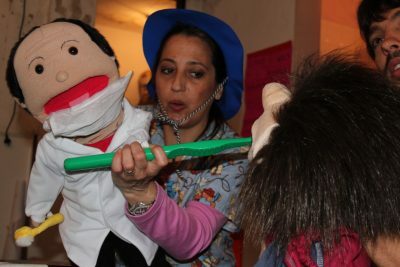 Some news from Todos Juntos in Buenos Aires, the grant we were able to award to them will be used towards maintaining and expanding their Oral Hygiene Program (see the main picture above). Introducing our new projects for 2018! Our new projects are equally interesting and exciting – read about them below! The Azuero Earth Project focuses on environmental education, reforestation, habitat restoration and sustainable land use in the Azuero Peninsula which is fast becoming one of Panama’s tourist hot spots. In 2017 they were awarded the national environmental prize by the Panamanian Ministry of Environment (MiAmbiente) for their commitment to the environment, with particular recognition going to their Spider Monkey Education Initiative which aims to preserve and restore the habitat of this critically endangered endemic subspecies. The LATA Foundation felt compelled to support Azuero Earth Project in their endeavour to preserve the region’s natural beauty. Of their many projects the one that we felt most passionate about is the preservation of the little known Pablo Arturo Barrios Wildlife Refuge (Refugio del vida silvestre Pablo Arturo Barrios. 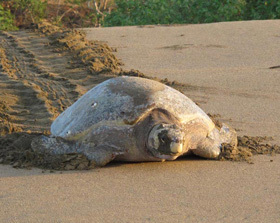 The refuge contains diverse and vitally important ecosystems – beaches, mangroves, dunes and marshes and although protected by law, it is increasingly threatened by coastal development. The LATA Foundation will help fund this education campaign which includes maps, informative bulletin boards and youth field trips. La Salamanca Association is part of a ‘triangle’ of communities working with Buena Vida to encourage the development of sustainable tourism in the Salta region of Argentina. 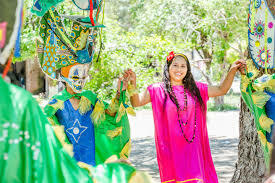 Keen to promote the Guaraní culture of the region particularly their handicrafts and gastronomy, La Salamanca has asked for help developing their kitchen and dining area used for guests and festivals. The LATA Foundation has previously worked with Buena Vida to help the community of Peňa Morada build a communal area to meet, receive guests and show their local handicrafts; and the Yariguarenda community to develop guided walking and cycling trails, and a tourist information kiosk. We are proud to be renewing our relationship with the Galapagos Conservation Trust (GCT) in support of their important project aiming to reduce the damaging effects of plastics in the Galapagos Islands. With over 20 years of experience working with communities and local organisations, GCT are teaming up with Grupo Eco Cultural Organizado (GECO) to deliver a youth-led campaign to reduce plastic bag use on San Cristobal island by 50%! The 3 year project is based on a holistic approach to tackle this issue by raising awareness in the local community, working closely alongside local businesses and utilising the LATA connection to communicate with the tourism industry and tourists so we can all play our part in being Plastic Responsible. SmallChange4BigChange was established in 2012 in the small rural town of Santa Caterina de Baranhona, located on the outskirts of Antigua to improve health and education in the community. Currently 35-40% of people in Santa Catarina suffer from chronic malnutrition – this occurs when children don’t get the nourishment they need from the time of conception until the age of two and it will affect them for life. SC4BC has implemented a wide range of programmes including installation of ecological stoves, tilapia ponds and community gardens and aims to improve education through school supplies, English classes and a reading room. The LATA Foundation has worked on a number of these projects with SmallChange4BigChange since 2016 and have been impressed by the dedication and passion of Lisa de Mena and her team. 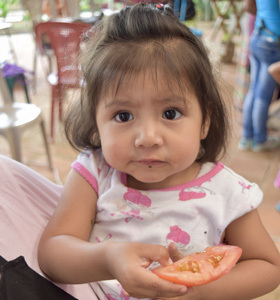 In 2017 SmallChange4BigChange collaborated with the Guatemalan government to run a Mother & Baby Nutrition course to address basic health issues and promote active, healthy habits and the LATA Foundation funded this pilot project. Described by Lisa as the single most important thing they have implemented, the response was overwhelming and in 2018 the LATA Foundation is delighted to continue funding the Mother & Baby programme as well as a complimentary Healthy Home programme which teaches the community to cook using economical, local and healthy ingredients. This is the LATA Foundation’s second year of support for Abriendo Mentes, a small community project that aims to empower and educate children and adults from small rural communities in the Guanacaste province, Costa Rica. LATA helps to fund their Youth Development Program, and 2017 saw a record number of children registering for their after-school classes, which vary from art and sport to English and computer skills. Education in Guanacaste is not well supported by the local communities, with local children attending school for only 3 hours a day, and 22% of students dropping out of high school. 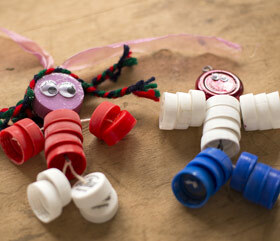 The after-school classes encourage children to continue learning, helping to build confidence and self-worth. We’ve had some amazing stories so far, from children who were at first timid, shy or even exhibiting anger issues, and how they and their parents say that Abriendo Mentes has turned their life around. 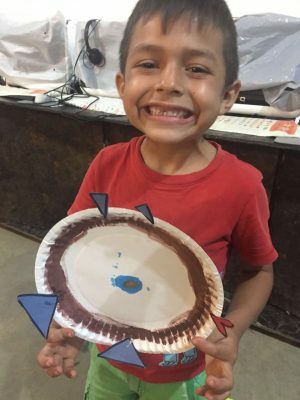 It’s Abriendo Mentes’ aim that children like this will eventually graduate through the program and have access to the many tourism-related jobs that exist in Guanacaste. 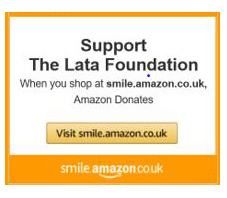 At the LATA Foundation we’re really proud to support that aim. The LATA foundation is delighted to continue supporting Calicanto as one of the core projects for 2018. This year the LATA foundation will be providing funding for their CAPTA program which is a seven week course for poor, vulnerable and disadvantage women in Panama City. Many of these women live below the poverty line, have low levels of education and have been victims of domestic violence. The program provides emotional support alongside practical skills and vocational training which prepares the women for employment in the hotel industry. The funding from the LATA foundation will help pay for all the course materials, supplies and transportation for the women who are participating in the program. March 2018 and March 2019 a further 125 women are expected to benefit as a direct result of LATA’s funding. More than 1300 women have completed the program since it began in 2005 and 73% of these women are currently either in full time employment or have progressed onto further study. This is a fantastic achievement that was only made possible with the funding they received from the LATA foundation. This inspirational project is a fine example of how the tourism industry can have a positive impact on a local community and provide better opportunities for previously disadvantaged and vulnerable people. The LATA foundation has been supporting Condor Trust for the last few years, helping them to support young Ecuadorians to attend secondary school and/or higher education. Some of the first students taken on during the early years of the project have graduated from university and now flourish in professional jobs, demonstrating how successful the whole cycle of support can be. Las Iguanas has generously supported us for a number of years, starting with its support for Projeto Vidançar in Brazil, and has since expanded to Kids Saving the Rainforest in Costa Rica and other projects. Set up a regular payment to the Foundation of any amount and receive exposure through LATA and LATA Foundation websites and newsletters as well as a personal contact to keep you updated. Sponsor a LATA Foundation Event, bringing together our supporters and LATA members to enjoy evenings of fundraising and socialising or helping a team test themselves with a sporting challenges to raise funds. Trustees and volunteers attended the LATA reception in the Terrace Pavilion of the House of Commons on 7 February 2018. The evening was hosted by Mark Menzies MP and Chairman of the APPG for Latin America. Colin Stewart, the LATA chair and Foundation Trustee, invited the Foundation’s chair, Chris Pickard to address the guests who included members of the House of Lords and Commons, Latin American ambassadors and senior diplomats, the media and members and friends of LATA. Chris updated the room on the Foundation’s activities, noting that in 2018 it is celebrating its 10th year on being recognised by the Charity Commission and is coming off a record year in 2017 in terms of financial support to projects. He thanked everyone who had helped and supported the Foundation. During the evening the Trustees and volunteers present had a chance to successfully network and talk with many of the guests and explain in more detail the work and plans of the Foundation. Trustees and volunteers will be present at Experience Latin America by LATA that is scheduled to take place in Canary Wharf, London, from 11 to 13 June. Europe’s leading B2B travel event focusing on the Latin American region, the event gives the Foundation the opportunity to introduce itself to suppliers from the region as well as reminding LATA members of the work of the Foundation and its recent activities. Foundation chair, Chris Pickard, will moderate a number of panels including one that will be looking at sustainable, responsible, and ethical tourism. Topics very dear to the the Foundation. The ever popular annual events of The LATA Foundation Pub Quiz and Latin American Travel Networking Event will take place in summer this year – keep an eye on your inbox for details soon! We would like to extend our sincere thanks to Charlie and Coleen Hiscocks who raised a wonderful £183.00 for the LATA Foundation at their ‘Taste of Latin America’ event. Having travelled for 3 months around Latin America, they wanted to present their experiences to their local community in West London, while also raising money for a Latin American charity. We were very pleased to be asked by the Hiscocks to be their chosen charity for any funds raised from sales of tickets, food and drink. They, like us, are now hugely passionate about the continent and all it has to offer and can’t wait to return! 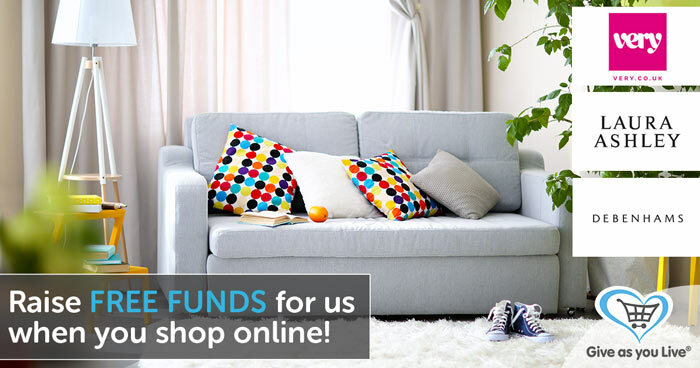 Update your home with a little help from some top retailers like Very, Laura Ashley or The White Company plus when you shop the ‘Give as you Live’ website and a portion of your spend will be donated to the LATA Foundation, without costing you an extra penny! Shop Now! ← Our 2017 Autumn/Winter Newsletter is now out!